Life In The Universe is a calling to our higher purpose, our destiny as human beings. 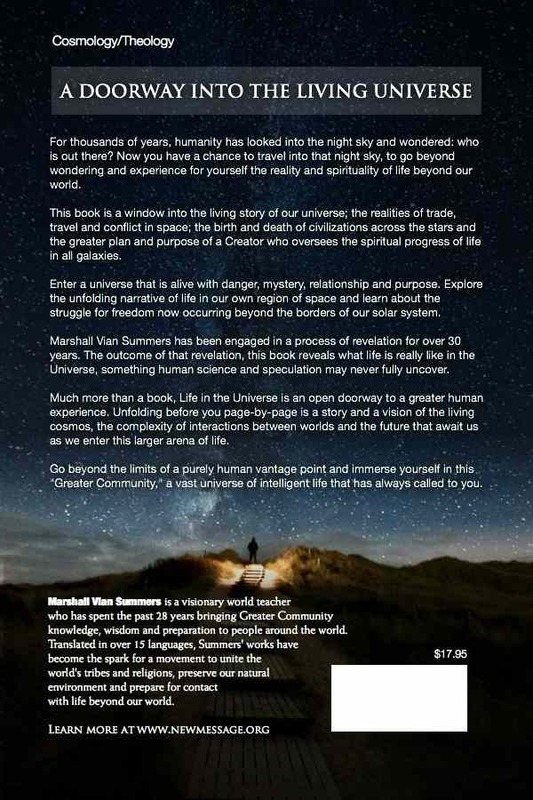 From the powerful introduction and the two main parts of the book to the personal message from The Messenger at the end, this book explains our reason for being here, our relationship with our planet and our greater universe. We are all one in the Greater Community of intelligent life. It covers technology, genetics, trade and commerce in the universe, debunks myths about the universe, warns of the threat of ET life through mind control , persuasion and influence, how our planet is a rare jewel in the universe and how the freedom we take for granted is a privilege not a right in the Greater Community of Intelligent Life. In Part 2 the book explains how our religion and spirituality are of enormous importance in helping us navigate this historical phase of human evolution. How knowledge will guide us and save us. How deepening our relationship with God and Gods will for us will take us through our emergence into a community of life that is not like us and does not think or act like us but will be our destiny. This is a book for our time and an urgent warning to start to act now in order to conserve our planets resources and all that we know as human life and relations. It is a call for Unity, our destiny to live together in peaceful co-operation and an end to war and conflict because it will not be useful to us now. The book is very powerful, I found it reignited the fire in me to complete what I came here for. Marshalls message at the end is both inspirational and sobering. However, the books truth is received through the heart of knowledge. I am not a religious Person but I am curious and seek Knowledge in all I do, I study a lot, I am reading Life In The Universe nightly and its hard going but certainly Different.